ego uerum amo, uerum uolo dici mi: mendacem odi. “For fictions which are developed entirely from matters outside of the situation betray our license to lie. We must take most special care—which often escapes those who lie—not to contradict ourselves, since some stories are flattering in bits but do not contribute to a coherent whole; that we then say nothing which countermands what is accepted as true; and, in academic exercises, not to seek ornamentation beyond the themes. nam quae tota extra rem petita sunt mentiendi licentiam produnt. Curandum praecipue, quod fingentibus frequenter excidit, ne qua inter se pugnent; quaedam enim partibus blandiuntur, sed in summam non consentiunt: praeterea ne iis quae vera esse constabit adversa sint: in schola etiam ne color extra themata quaeratur. Utrubique autem orator meminisse debebit actione tota quid finxerit, quoniam solent excidere quae falsa sunt: verumque est illud quod vulgo dicitur, mendacem memorem esse oportere. Sciamus autem, si de nostro facto quaeratur, unum nobis aliquid esse dicendum: si de alieno, mittere in plura suspiciones licere. 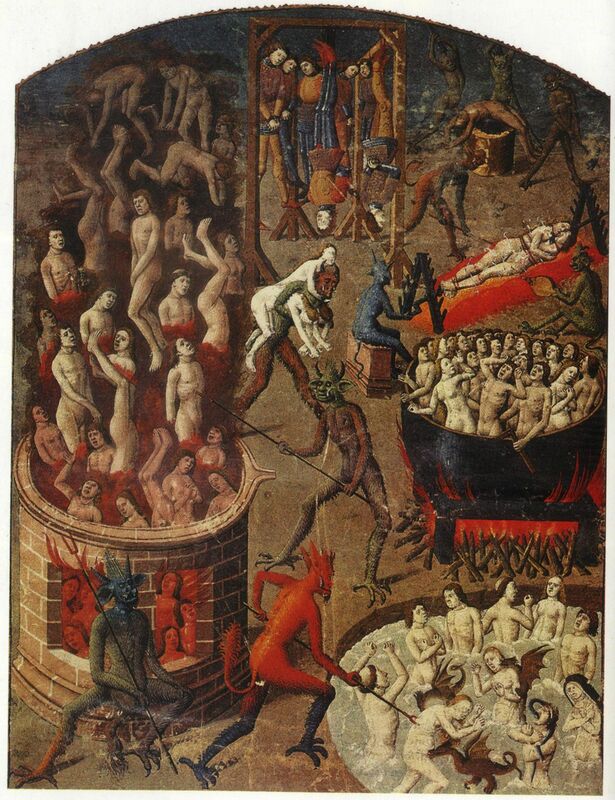 The Infernal Torments of the Damned, illuminated French manuscript of Augustine’s City of God by an unknown artist (15th century).